If Congress passes a health law this year, Maine could be one of the states most affected because it is one of the most rural states, with an unusual number of jobs tied to seasonal industries such as fishing, agriculture and tourism, reports Jennifer Steinhauer of The New York Times. About 22 percent of Mainers hold part-time jobs; the national average is 17 percent. "As a result of their short-term spike in income, many of Maine’s working class will likely lose some or all of their health-insurance subsidy, a feature of the federal health-care law, which has been a complicated blessing for the citizens of Maine," Steinhauer reports. 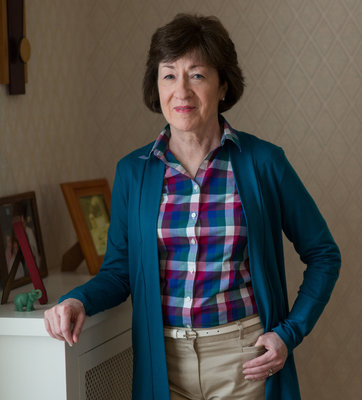 U.S. Sen. Susan Collins of Maine, who "once oversaw Maine's insurance bureau," told Steinhauer that he has spent a lot of time on the health-care issue because Maine is "disproportionately affected." The state also has a median age of 43, highest in the nation, and is relatively poor, Steinhauer notes. Senate Majority Leader Mitch McConnell "omitted" Collins from a working group of senators he picked to draft the Senate bill, but she "has formed a bipartisan working group that may help build a foundation for future changes should Senate Republicans fail on their own, which seems increasingly likely," Steinhauer writes. Maine could be a model for some reforms. It was one of a handful of states that included a “guaranteed issue” policy of health insurance, regardless of pre-existing medical conditions, has one of the few remaining health-insurance cooperatives, and formed high-risk pools to help sick people buy insurance, while stabilizing the markets. Collins says the House bill doesn’t fund high-risk pools anywhere near the level that Maine has.